The “foul and awesome display” of this plutonium implosion device was seen on July 16, 1945 at a site known as Jornade del Muerto, located in the New Mexico desert at Alamogordo, a few miles south of Los Alamos. The world recently observed the 72nd anniversary of the dawn of nuclear age. Since the first nuclear explosion till now, 2,120 nuclear test explosions have been recorded at dozens of test sites around the world by eight states: P5, India, Pakistan and North Korea. The US tested 1,030 atomic bombs. Russia, the second nuclear power, had 727 nuclear tests. The UK carried out 88 nuclear weapon tests, France 217 and China 47. India tested its first nuclear device in 1974, while reportedly six other nuclear devices were fired in 1998. Responding to India’s nuclear weapon explosions, Pakistan detonated six nuclear devices at Chagai. North Korea exploded three nuclear weapons in 2006, 2009 and 2013 respectively, and another one recently. To ensure protection of people’s lives and environment, most of the atomic tests are conducted underwater or underground; however, almost 528 tests in early years were detonated in the atmosphere, resulting in spread of radioactive material. Often the underground nuclear explosions also vent radiations into the atmosphere, and leave radioactive contamination in soil. To advocate the banning of nuclear tests and to educate the world about the legacy impact of nuclear detonation, the UN unanimously approved a draft resolution on December 02, 2009 to declare August 29 the International Day against Nuclear Tests. The resolution was initiated by the Republic of Kazakhstan with a view to commemorate the closure of the Semipalatinsk Nuclear test facility on August 29, 1991, which was the world’s largest underground nuclear test site containing 181 separate tunnels; almost 460 nuclear explosions were conducted there, and a few reportedly resulted in dispersion of plutonium in the environment. The facility was closed by the Kazakhstan government after the dissolution of the USSR in 1991. After the establishment of the International Day against Nuclear Test, all states party to the Non-Proliferation Treaty (NPT) committed themselves to “achieve peace and security of world without nuclear weapons” in May 2010. The inaugural commemoration of the International Day against Nuclear Tests was marked on August 29, 2010. Therein lies the question as to why states detonate nuclear weapons if they jeopardise human health and environment. And is it enough to celebrate an international day against nuclear tests, and what other international mechanism has been placed in this deference? Pragmatically, states conduct nuclear tests to evaluate new warhead designs and to create more sophisticated weapons. An international instrument to ban all civilian or military purposed nuclear tests in all environments is not a novel agenda of nuclear arms control. 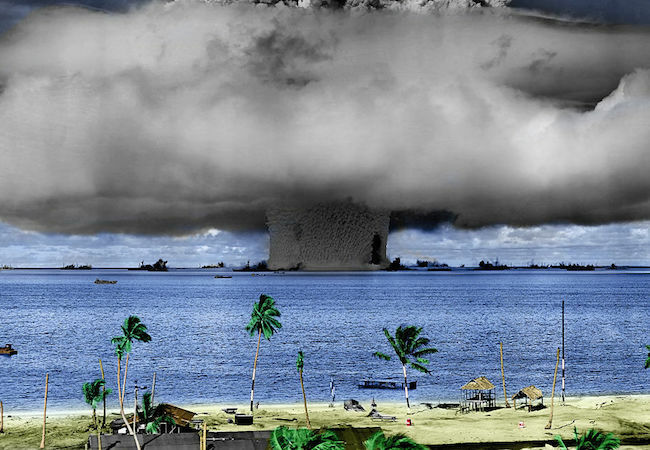 In August 1963, the Partial Test Ban Treaty (PTBT), signed by the US, the UK and the USSR, entered into force, and banned the nuclear testing of signatory states in the atmosphere, outer space and underwater but not underground. Though underground, not only nuclear weapons testing continued but the quantity also increased. Later, the PTBT became redundant with the signing of the Comprehensive Test Ban Treaty (CTBT) in September 1996, which bans all nuclear explosions in all environments. Before the CTBT, all treaties entered into force limit but not ban nuclear tests. Nonetheless, the CTBT will enter into force only after the 44 states listed in the treaty ratify it, of which 41 signed the treaty, 36 ratified, while the DPRK, India and Pakistan have neither signed nor ratified it. Interestingly, five nuclear-capable states Egypt, Iran, Israel, including two NPT signatory states China and US, have signed but not ratified the CTBT. The conferences to facilitate the objectives of the CTBT takes place every other year, and 2017 marks the 21st anniversary of the opening for signing of the treaty. 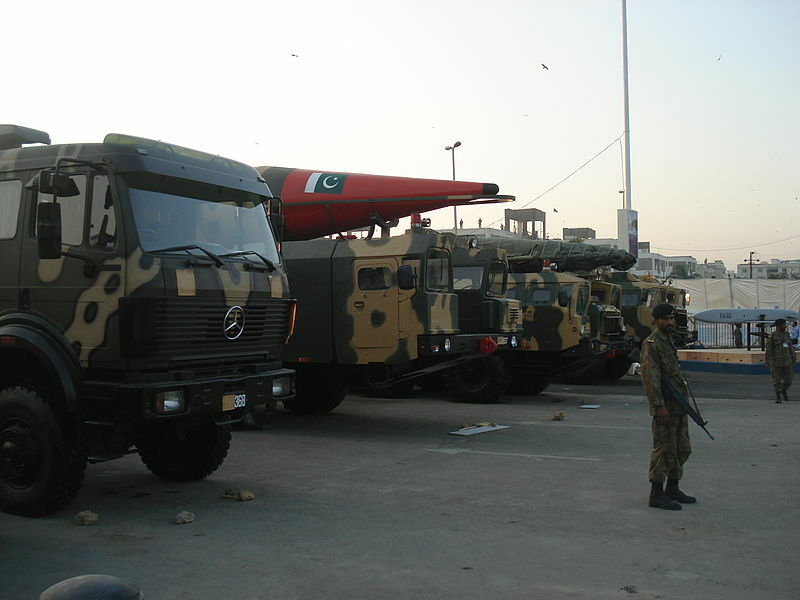 Since 1996, Pakistan, India and the DPRK have tested their nuclear weapons, while many states including the US and Russia claim they have not tested nuclear weapons since the signing of the treaty. In 2009 President Barack Obama outlined his vision of a world free of nuclear weapons, and later he forged new treaties to reduce the number of and spread of nuclear arsenal. On the contrary, he promised in the 2010 Nuclear Posture Review to uphold the triad of nuclear arsenal supported by every former US president. At the end of 2010, the US ratified the New START agreement with Russia to limit both sides’ arsenal to 1,550, but again no advancement ensued on a treaty that puts a permanent ban on nuclear tests. Notwithstanding that the US and Russia did not explode nuclear weapons after signing the CTBT, since 1997-2014, the US has held 28 “subcritical, sub-zero tests in the form of computer simulations” at the Nevada National security site. Conversely, Russia has also been conducting subcritical experiments involving both uranium and weapons-grade plutonium at Novaya Zemlya test site near the Arctic Circle. It means that in the absence of an option for underground testing that previously provided assurance about the reliability of deployed nukes, designers of nuclear weapons now depend on computer simulations along with laboratory level nuclear tests to ensure and enhance the safety and reliability of nuclear weapons. Evidently, keeping an option by not ratifying the CTBT and conducting subcritical tests shows that the US aims to improve its arsenal qualitatively and wish to maintain its option or ability to conduct onerous underground nuclear testing if it becomes indispensable. Inevitably, Russia would also change its attitude towards the CTBT although it has ratified the CTBT in 2000 if the safety or readiness of their nuclear arsenal would no more comply with the treaty. The CTBT is a zero-yield ban, but the US and the UK held hydronuclear tests with yields up to four pounds, whereas Russia, France and China chose yield limits of 10 tons, 300 tons, or an exemption for peaceful nuclear detonation, respectively. Such yield limits are unacceptable to many NNWS while a preference for peaceful nuclear explosion exemption has been rejected by almost every NNWS. Thus, the contour of the subject is that there is still a possibility to modernise the nuclear warhead components, verify the reliability of aging nuclear stockpiles and stimulate the environmental effects even if all 44 states ratify the CTBT because it does not stop them from hydronuclear subcritical test through computer simulation; and it allows NWS to qualitatively improve their arsenals at sub-zero. A grim reminder on the International Day against Nuclear Test is that a discriminatory CTBT would not fulfil the nuclear-test-ban ethos till it removes any escape routes including explosives or non-explosive tests. Maimuna Ashraf works as a Senior Research Associate for an Islamabad-based think tank Strategic Vision Institute. She works on issues related to nuclear non-proliferation, arms control and South Asian nuclear equation. She writes for South Asian Voices, international blogs and national dailies.